200 pages | 1 Color Illus. | 27 B/W Illus. Becoming an Outstanding Languages Teacher explores the skills that it takes to deliver exceptional language teaching and produce outstanding results. Offering support to all language teachers, this book offers a wide range of approaches to teaching and learning that will help to keep students stimulated and engaged when studying languages. Focusing on the nuts and bolts of lessons and teaching sequences, this guide looks at the methods used by teachers to interact with their students and offers practical strategies and ideas on how to incorporate skilled questioning and other interactions into the classroom. Packed full of strategies that are easy to implement, this timely new book is essential reading for both trainee and practising language teachers. 14. What makes an outstanding language teacher? 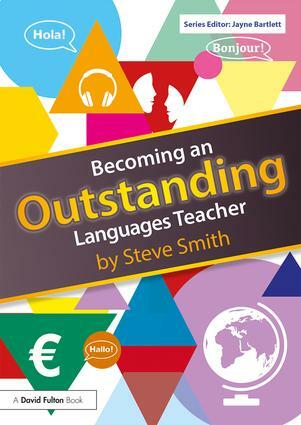 Steve Smith taught languages for over 30 years and is former Head of Modern Languages at Ripon Grammar School, UK. He now writes and presents for the AQA examination board in England and works with both trainee teachers and authors through frenchteacher.net, an online teaching resource which is widely used around the world. He is also author of Language Teacher Toolkit, a popular blog about language teaching methodology (frenchteachernet.blogspot.co.uk).